Iḷisaġvik recently announced that starting next semester, Native students who are over the age of 18 will be able to apply for a tuition waiver to attend both distance learning and campus-based classes. The post Ilisagvik College Waives Tuition for Alaska Native Students appeared first on Tribal College Journal of American Indian Higher Education. Under the program, the Salish Kootenai College will offer training and certification on the use of three-dimensional printers and potentially administer other related training. The post Northrop, S&K Electronics Forge Mentor-Protege Relationship Under DoD appeared first on Tribal College Journal of American Indian Higher Education. 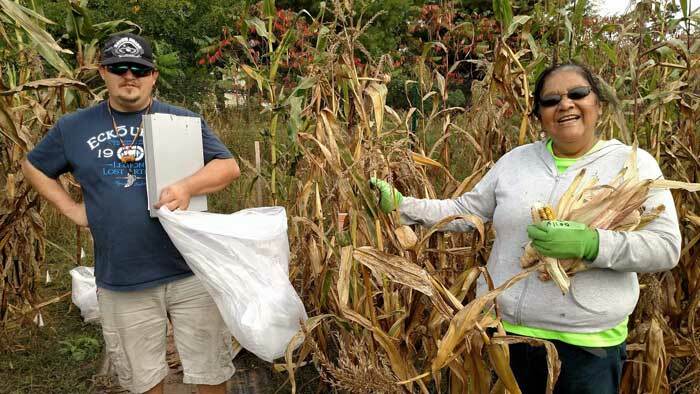 The funding is made possible through two NIFA programs: the Federally-Recognized Tribes Extension Program and the Tribal Colleges Research Grants Program. The post USDA’s NIFA announces support for tribal extension and research programs appeared first on Tribal College Journal of American Indian Higher Education. Fond du Lac Tribal and Community College in Cloquet is hosting an Open House event from 4:30-7:30 p.m. Thursday, Dec. 7. The campus-wide event is free and open to the public. The post FDLTCC Hosting Campus Open House appeared first on Tribal College Journal of American Indian Higher Education. According to a report published by the Center for American Progress, an older law called the Statutory Pay-As-You-Go, or PAYGO, Act, in conjunction with the GOP’s tax plan would result in the “complete elimination” of certain funds for HBCUs, Hispanic-serving institutions and tribal colleges, funds intended to help expand institutional capacity and student success. The post Minority-Serving Institutions Anxious Over Tax Bill appeared first on Tribal College Journal of American Indian Higher Education. Here in Montana places like the Blackfeet Community College and Kicking Horse Job Corp provide job training in culinary arts, nursing programs and construction, among other occupations. The post Good News for Jobs in Native American Communities appeared first on Tribal College Journal of American Indian Higher Education. Native scholars at Harvard Law School have what it takes to succeed. A law degree is the foundation to creating strong future leaders. 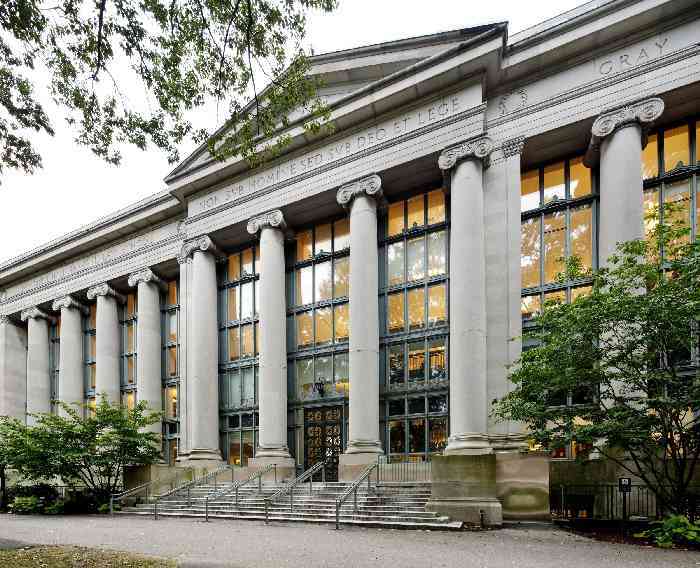 The post American Indian College Fund Offering New Scholarship to Attend Harvard Law School appeared first on Tribal College Journal of American Indian Higher Education. Continuing in the Iñupiaq tradition of sharing, Iḷisaġvik College is pleased to announce that it will be extending its tuition waiver program to all qualified Alaska Native students for the spring 2018 semester. 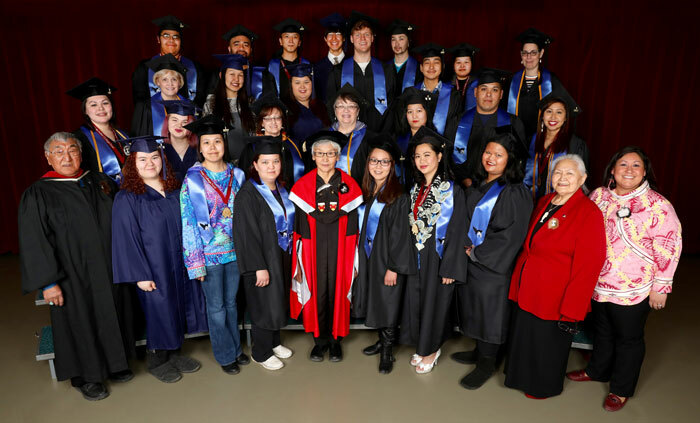 The post Iḷisaġvik College Extends Tuition Waiver to All Alaska Native Students appeared first on Tribal College Journal of American Indian Higher Education. It also establishes an associate degree program in Northwest Coast arts at UAS. The goal is for students studying Native art at UAS to then be able to transfer to the Institute of American Indian Arts in Santa Fe, New Mexico, to complete four-year degrees. The post Educational Partnership Mixes Math with Native Design appeared first on Tribal College Journal of American Indian Higher Education. This report brief discusses the important role that TCUs in Montana play in higher education and the state economy. The post An Outstanding Investment: Tribal Colleges and Their Contributions to Montana appeared first on Tribal College Journal of American Indian Higher Education. The Salish Kootenai College women’s basketball team is working on getting prepared for the second half of their tribal schedule and to make another run at the American Indian Higher Education Consortium basketball tournament. The post Lady Bison Progressing appeared first on Tribal College Journal of American Indian Higher Education. The North Dakota Department of Commerce announced a $500,000 tribal college grant for Turtle Mountain Community College located in Belcourt, N.D. The grant will support Turtle Mountain Community College’s efforts to enhance their commercial vehicle operations and welding programs. The post Commerce Awards Tribal College Grants to Turtle Mountain Community College for Workforce Development appeared first on Tribal College Journal of American Indian Higher Education. The American Indian College Fund was awarded the $10,000 grand prize in CPA firm Eide Bailly’s Resourcefullness Award 2017 for Colorado. The post Blanket Collection Produced with Iconic Pendleton Earns the Colorado Non-profit Resourcefulness Prize appeared first on Tribal College Journal of American Indian Higher Education. Indigenous artists are reaching larger audiences, and they're doing so by employing the values that have always guided their people. The post Native Blockbusters appeared first on Tribal College Journal of American Indian Higher Education. The EPA and Dine College have found high concentrations of uranium in the soil and groundwater. Uranium has been linked to many health problems, including cancer. The post Federal Watchdog Will Review EPA’s Uranium Cleanup On Navajo Nation appeared first on Tribal College Journal of American Indian Higher Education. Salish Kootenai College celebrated their 40th anniversary last week. Part of the week-long festivities known as Founders Week included honoring the following five men and women for their many contributions to the college. The post SKC Marks 40th Anniversary by Honoring Founders appeared first on Tribal College Journal of American Indian Higher Education. Haskell Indian Nations University recently celebrated a milestone of 120 years of publishing its student newspaper, The Indian Leader—the oldest Native American student newspaper in the United States. The post Haskell’s Student Paper, The Indian Leader, Celebrates 120 Years appeared first on Tribal College Journal of American Indian Higher Education. A more collaborative and robust support network is needed to support TCUs on data usage. Currently, organizations like AIHEC and AICF continue to lead collaborative data initiatives by engaging with TCUs on a local and individualized level. The post Moving Away From Data Invisibility at Tribal Colleges and Universities appeared first on Tribal College Journal of American Indian Higher Education. The post College of Menominee Nation Students Present at FALCON Conference appeared first on Tribal College Journal of American Indian Higher Education. Winter Market at UTTC gives local vendors a place to go once it's too cold for Bismarket, artists like Shawna Fricke. The post Winter Market Takes Place at UTTC appeared first on Tribal College Journal of American Indian Higher Education.